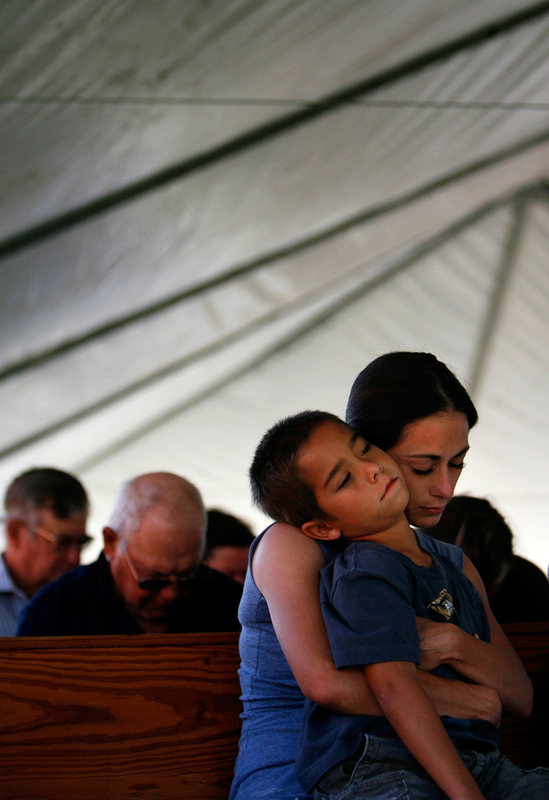 Jami Chavez prays with her son Samuel Chavez, 7, during Sunday services outside at Oak Island Baptist Church on Sunday, Sept. 28, 2008, in Oak Island. The church held Sunday services outside for the second week in a row after Hurricane Ike destroyed most of the homes and buildings in the community. The Chavez family lost their home and is staying in a home with five other displaced families.